The Book of Psalms is one of the most beloved portions of Holy Scripture. Its contents are read and sung by millions every day. The book is actually a collection of 150 individual songs composed over a period of approximately 1000 years, from the time of Moses (Psalm 90) to the post-exilic period (Psalm 126). Seventy-three of the psalms are explicitly attributed to David, but other authors are mentioned as well. There are a number of books available that offer some helpful introductory insights into the book of Psalms. Two that are very helpful are C. Hassell Bullock’s Encountering the Book of Psalms and Geoffrey Grogan’s Prayer, Praise and Prophecy. In addition to these works, there are a number of great commentaries on the book of Psalms. The following are five of the most helpful. 1. Willem A. VanGemeren — “Psalms” in the Expositor’s Bible Commentary (1991). It may appear that a commentary on the book of Psalms that is bound together in a volume that covers Proverbs, Ecclesiastes, and Song of Songs as well would not have enough space to be worthwhile. In the case of VanGemeren’s commentary on Psalms, such an assumption would be a terrible mistake. His commentary takes up 880 pages out of a total of 1245 (a little more than two-thirds of the whole). Along with Carson’s commentary on Matthew, it is one of the two or three best commentaries in the Expositor’s Bible Commentary. 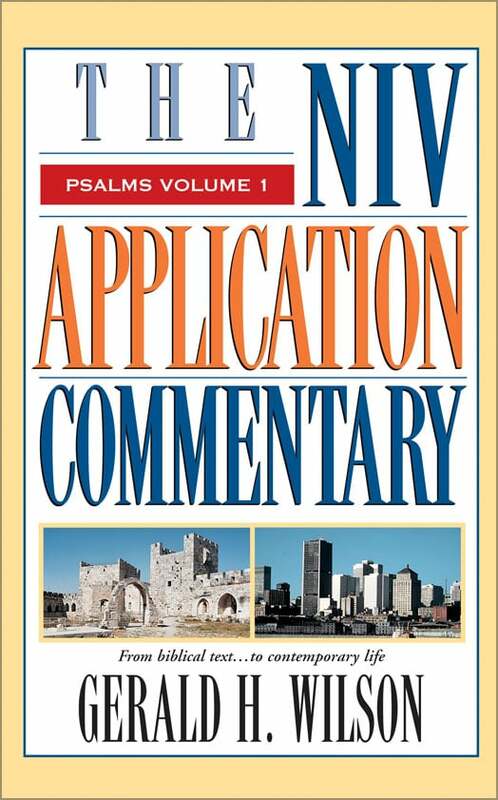 It is certainly the most helpful commentary on the Psalms that I have yet read. For each Psalm, VanGemeren provides a substantive introduction followed by expository comments and textual notes on every verse. In many cases, these comments are then followed by an Appendix dealing more fully with some important issue in that particular Psalm. I cannot recommend this commentary highly enough. It should be used by every student of Scripture. [A thoroughly expanded and revised version (1024 pages) of this commentary was published in late 2008]. 2. Gerald Wilson — Psalms Volume 1 (NIV Application Commentary, 2002). The NIVAC series is a mixed bag, but Gerald Wilson’s initial volume on the Psalms is one of the standouts. The NIVAC series divides comments into three sections: Original Meaning, Bridging Contexts, and Contemporary Significance. In most of the commentaries in this series, the author will do very well in one or maybe two of those sections. Wilson is one of the few who succeeds in all three. To the best of my knowledge, he will not be writing the second volume on Psalms in the NIVAC series, but this should not deter students of Scripture from using this first volume, which covers Psalms 1-72. 3. Donald Williams — Psalms 1-72; Psalms 73-150 (The Preacher’s Commentary, 2002). I ran across this commentary years ago when it was part of the now defunct Mastering the Old Testament series. I have always found something of value when I have opened these volumes to see what Williams has to say on a given Psalm. This is a non-technical, highly readable commentary, with a strongly devotional and practical approach. It is well worth consulting. 4. Derek Kidner — Psalms 1-72; Psalms 73-150 (Tyndale Old Testament Commentaries, 1973). Kidner’s commentaries are always worth reading, and for those looking for a basic introductory level commentary on the Psalms, this is a great place to start. The comments are clear and very concise, but always reflect the extensive learning and insight of the author. With commentaries, it is generally best to choose them on a book by book basis. Most sets are a very mixed bag. The Tyndale set is one of the very few I would suggest as a whole. It is very consistent, and Kidner’s contributions are one reason for this. 5. 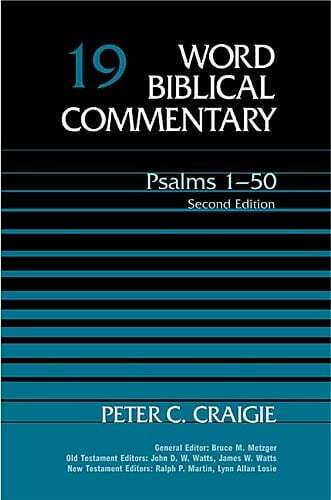 Peter Craigie, Marvin Tate, Leslie Allen — Psalms 1-50; Psalms 51-100; Psalms 101-150 (Word Biblical Commentary, 1983, 1990, 2002). It is difficult to decide between these three commentaries and the volumes by Goldingay. I’ve included the three WBC volumes primarily on the strength of Craigie’s contribution. It is technical, but very helpful. Craigie was to write all of the volumes on the Psalms, but his death meant other scholars would have to complete the work. Unfortunately, the contributions by Tate and Allen are not quite as good as the one by Craigie, although Allen’s is somewhat closer to the mark. 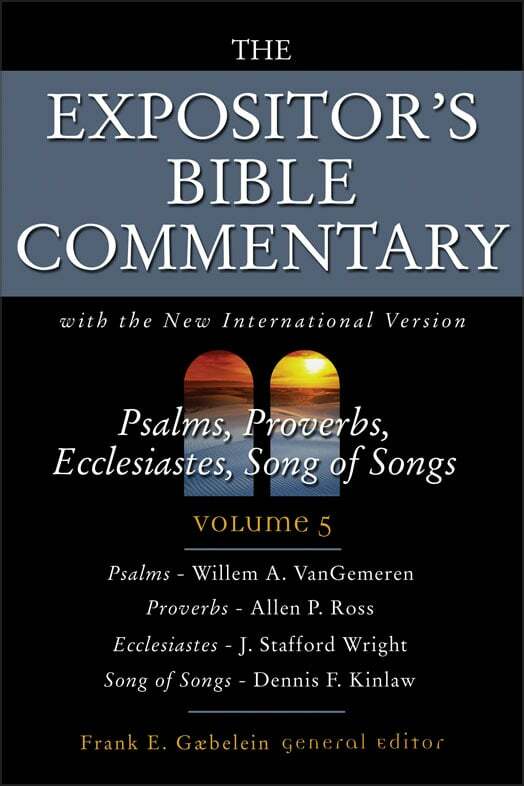 There are a number of other helpful commentaries on the book of Psalms. Among these are the classic works of John Calvin and Martin Luther. Charles Spurgeon’s commentary provides a wealth of material for preachers. 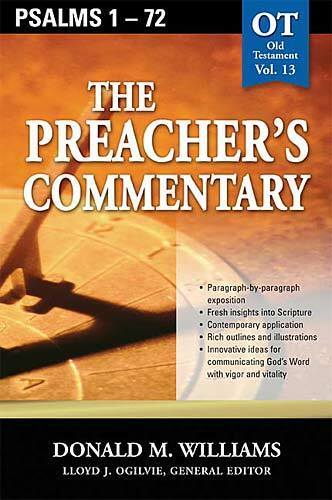 Other commentaries that will prove especially helpful for pastors are those by William S. Plumer, Michael Wilcock (Vol. 1; Vol. 2), G.A.F. Knight (Vol. 1; Vol. 2), James Montgomery Boice (Vol. 1; Vol. 2; Vol. 3), and Eric Lane (Vol. 1; Vol. 2). Geoffrey Grogan has recently published a commentary on the Psalms in the Two Horizons series. Approximately half of this work is devoted to the “theological horizons” of the Psalms, and this section alone is worth the price of the book. However, since the commentary proper is somewhat sparse, this work is best used alongside other works such as those mentioned above.